The topic of this two four hour class is rather obvious. It was held twice. First of all you got to know something. As you know Roman is teaching a lot. So far he never titled any of his classes "Masterclass". Why? I think he not even can explain this. This class concept is something that Roman evolved during the work on the start on MV's Zombie Community project. He thaught himself to paint up a decent looking Zombie in about 15 minutes. He decided to give teaching this a try at this years NOVA Open 2016. To all who participated: Thank you! 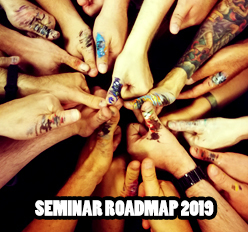 We hope you enjoyed the seminar. Roman did start the class with theory and some painting demonstrations. Everything served on small dishes to have dinner later. 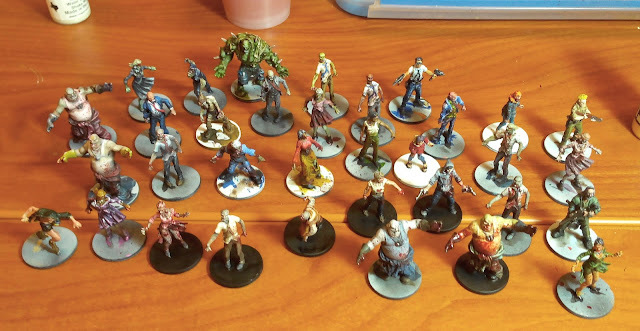 As this was a hands on class people were up to paint Zombies on their own and give this speedpainting masterclass technique a go. It turned out that everyone was having a lot of fun and painted Zombie after Zombie. 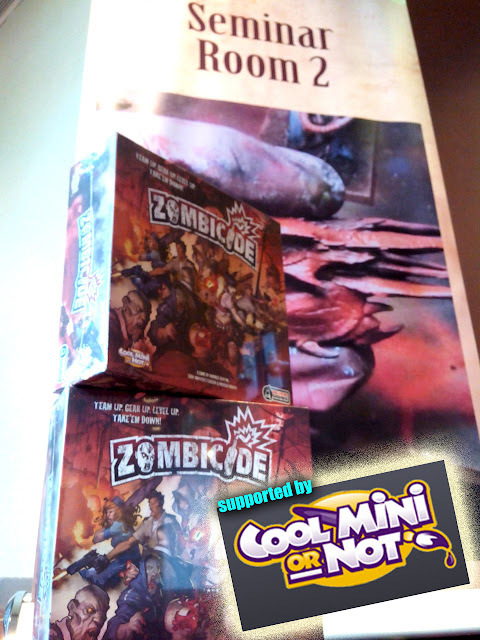 for their great support on Zombie models! for the wonderful collaberation and your help! 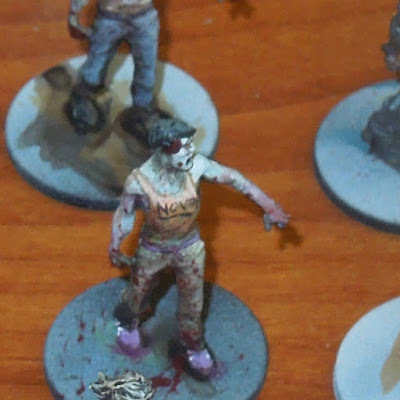 ... and returned after about 15-20 Minutes with a masterful speedpainted Zombie. The joy in their eyes and the speed they went for choosing their next Zombie was just a wonderful sight for Roman as a teacher, who was not sure if the class concept will work. 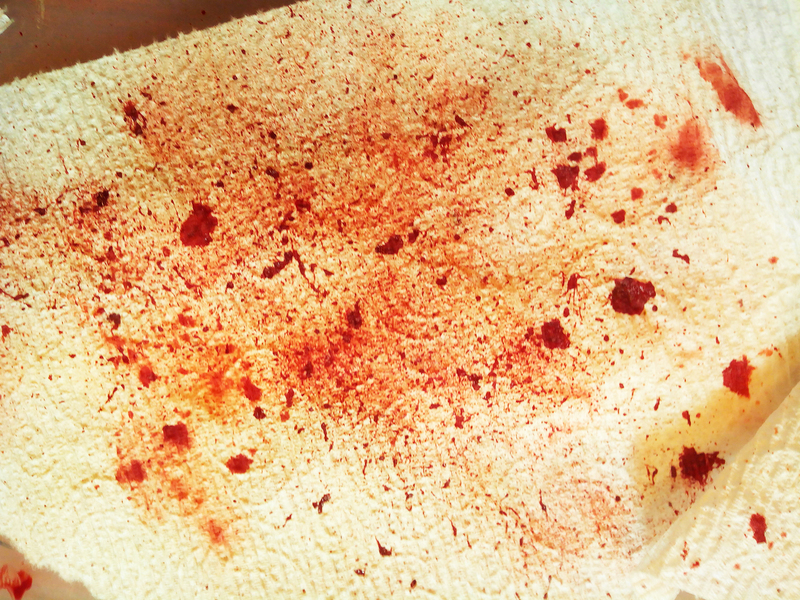 Bloodsplatters. Man we used so much "Blood for the Bloodgod". After a while we even started to paint heroes and did put 1-2 minutes in their looks. Results from class two. Zombie Speedpainting par excellence. Once in a while a Zombie recieved special attention, for example this one with his orange NOVA Open shirt. Half a minute more and you got something like this. A wonderful idea of group one came up. 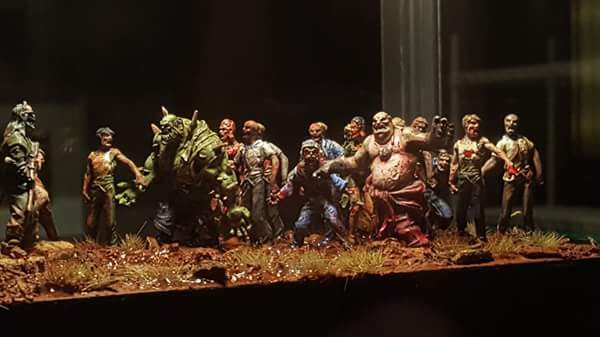 Why not put some Zombies of this class together, build a base and enter them as a Diorama in the Capital Palette. Out of the class, into the contest. Of course Roman did not find time to take a photo in the Capital Palette's cabinets, but Kayley did and handed this over to Roman. Thanks! Ok, they did not place in the contest, but MAN! what a beautiful sight for a teacher. Thank you students of this class to make me go so proud of you! We actually did not know how to handle them in the contest as there was no rule of multiple painters on a piece. Not yet. We will think on such a category next year. Thank you all for being part of the NOVA Open and see you next year for sure. What about a Space Marine Speedpainting Masterclass, eh?